Can you even believe that it’s already November? That means we have two months of 2013 left. I’m pretty sure I just stopped writing 2012 like…a month ago. October was good to me, though, so I hope November is, too! I do Target Practice a la Fit.Fun.Femme. every Sunday, but at the start of the month, I like to set monthly goals instead of weekly. Although October went fast, it seems like a long time ago that I set goals for it. Here’s what they were and how close I came to meeting them. I’m grading myself again, because I ought to grade something this weekend, and it’s not gonna be the Animal Farm questions in my bag. Life: Make and keep dates with friends. Why is this so hard for me? Friends are important. I had a few get-togethers with friends, but I still have not made friendship upkeep as high a priority as I need to. It’s just tough when everyone is so busy. Or…maybe it’s because I am the socially awkward penguin. Grade: C-. Blog: Take better and more relevant photos, and post twice a week. There was one week in October in which I posted only once. The others I made the twice-weekly goal. And I’m slowly but surely getting better at taking pictures. See? 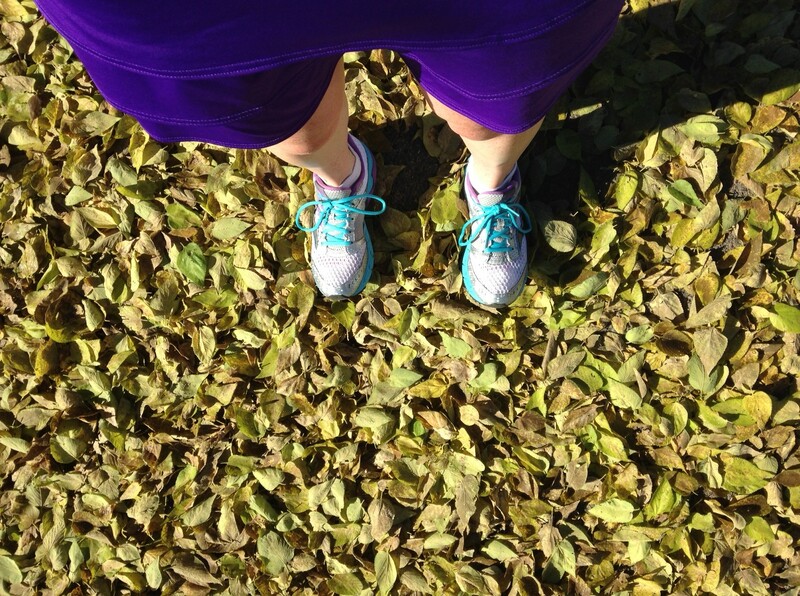 Yesterday I even took the quintessential blogger photo of my running-shoed feet. And I posted it on instagram. Grade: C.
Health: Don’t get sick, and find some new, healthy recipes. Done and done. Thank goodness, I avoided the nasty stomach bug that was circulating the school a couple of weeks ago (knock on wood), and the Whole30 has provided me with a bunch of healthy recipes. Grade: A. Fitness: This goal was dominated by the marathon: train well, taper well, race well, recover well. I give myself an A for this one. Life: Third month’s a charm? Hang out with some friends. Call the ones who live too far away to hang out with. Blog: Post a minimum of three times a week, and regularly update Twitter and Instagram. I want to get better at this blogging thing. 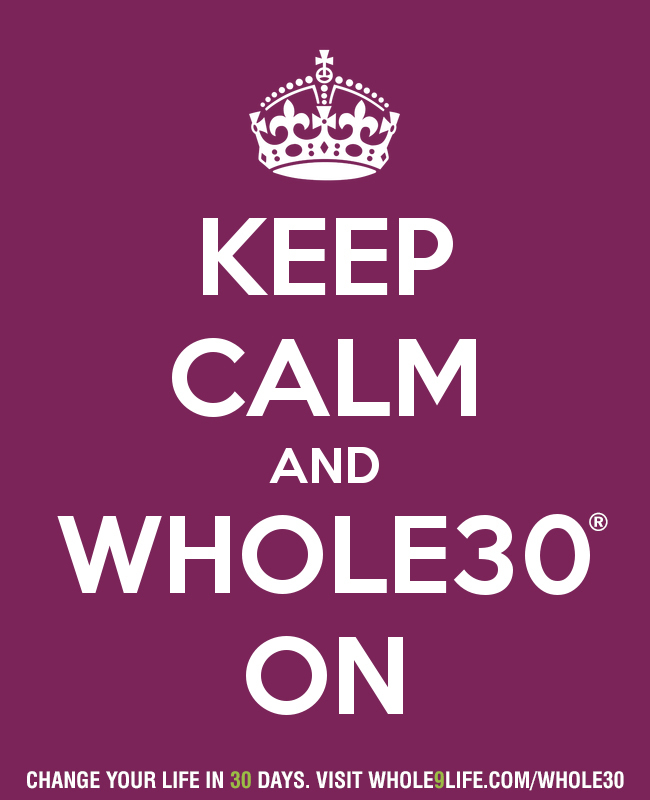 Health: Finish the Whole30. Figure out what’s been bothering my guts for so long. Fitness: I don’t have any major races on the calendar, but I’d like to get some shorter ones (10k to half marathon) scheduled for early 2014. While my mileage is decreased, I want to gain some more strength. That probably means actually going to the weight room instead of to the dumbbells in my basement. I haven’t used the big kid machines (like the squat rack) since high school weights class. Too bad this girl and this girl don’t live closer to me, because they are weight room monsters. What’s something you want to accomplish in November? Locals: Want to be my gym buddy (and maybe teach me what to do with things that aren’t dumbbells)? Thanks for the shout out lady! You know, when I come to Colorado, because I am coming, I will get you out of the basement and into the squat rack. Or we can just lay on your basement floor laughing, because I’m pretty sure that’s what we would be doing, since every single blog post of yours cracks me up. I struggle with keeping up with friends as well. It’s so easy to just get busy with other things and not make the effort.